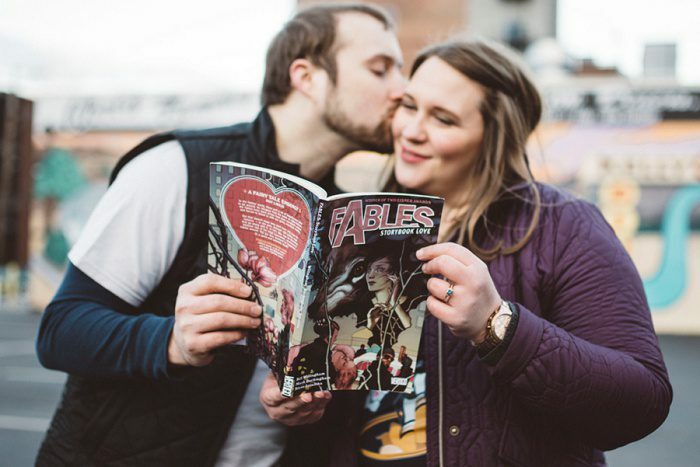 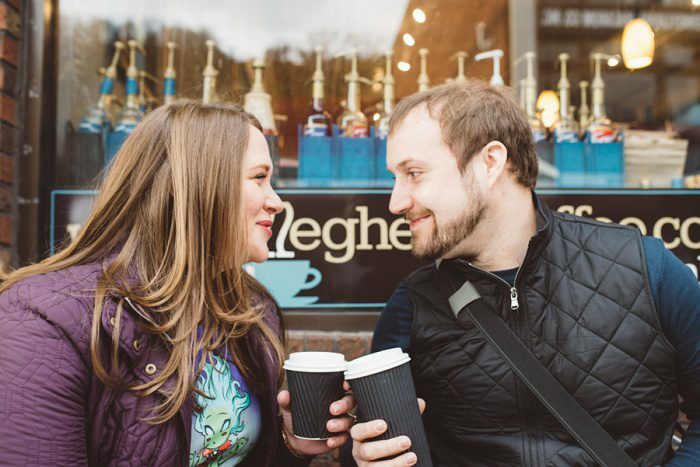 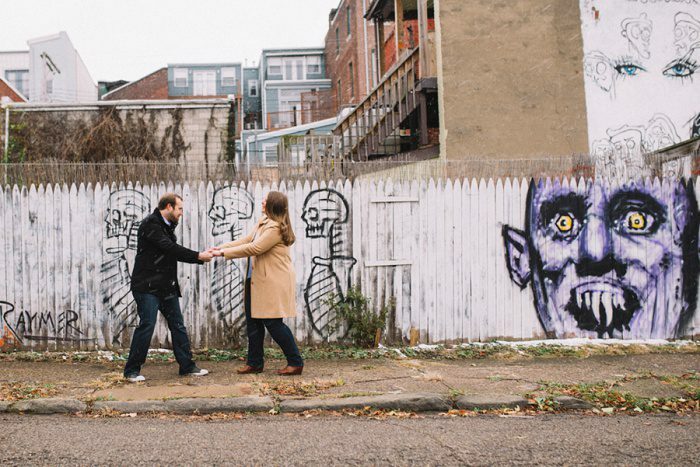 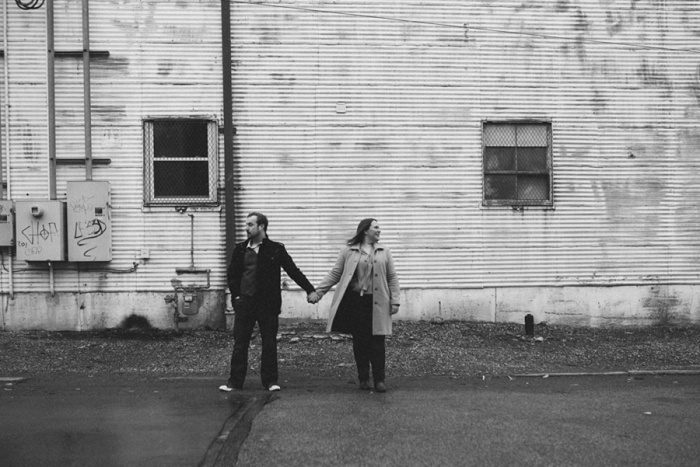 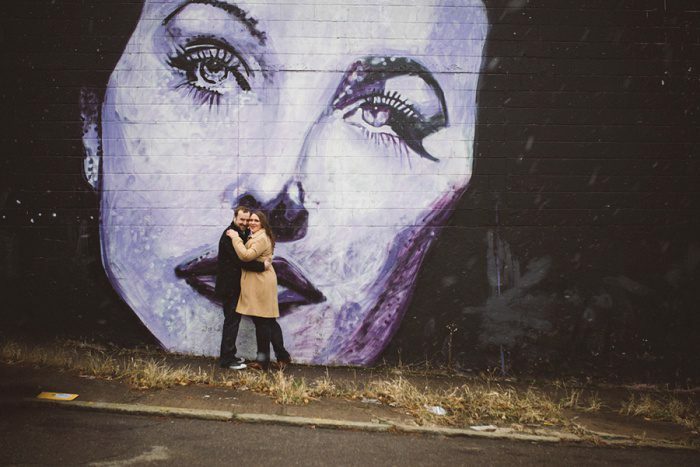 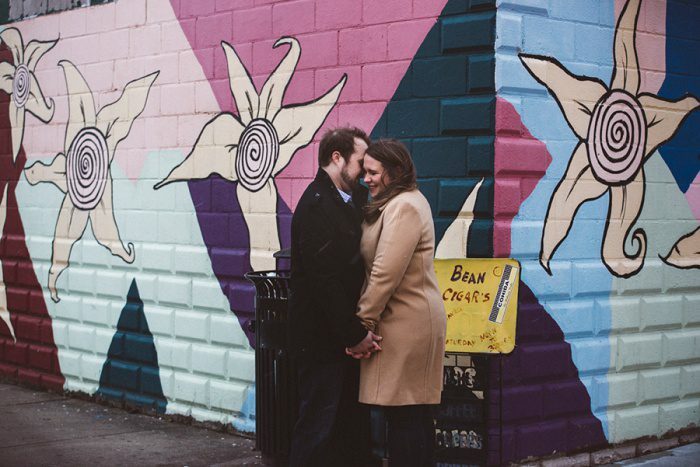 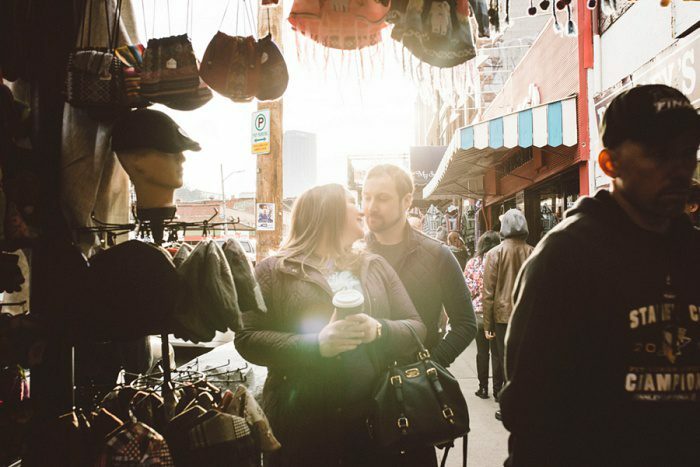 Sharon and Quinn’s Strip District engagement session is sure to be a crowd favorite! 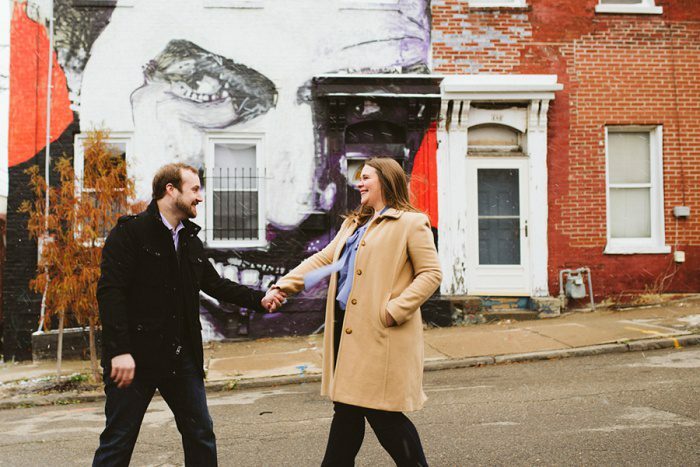 Not just because it shows off the best neighborhood in Pittsburgh (in my humble opinion), but it’s also colorful, quirky, and fun. 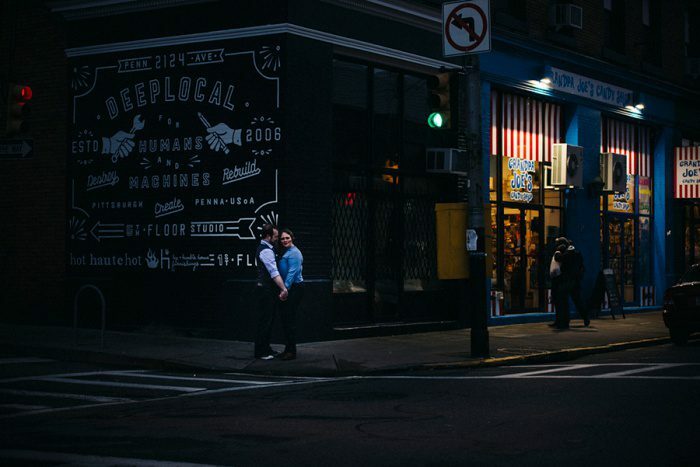 Sandrachile is the queen of creativity and her zest for life always comes through in her photos, and this shoot is no exception. 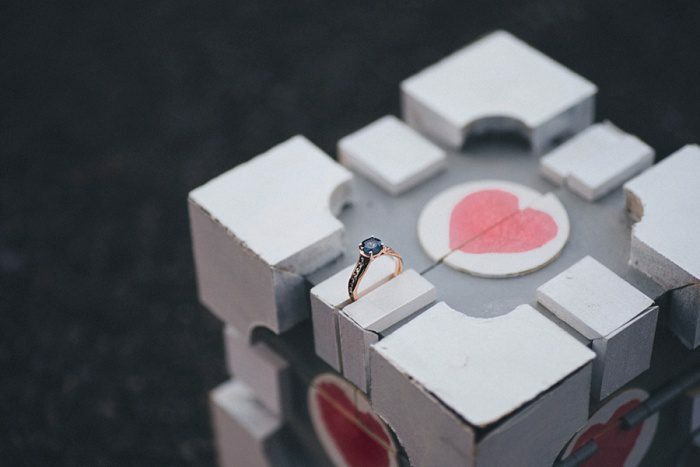 While embracing the crazy, vibrant, and gritty backdrops of the Strip, the couple was able to incorporate a subtle gaming theme into their pre-wedding photos too. 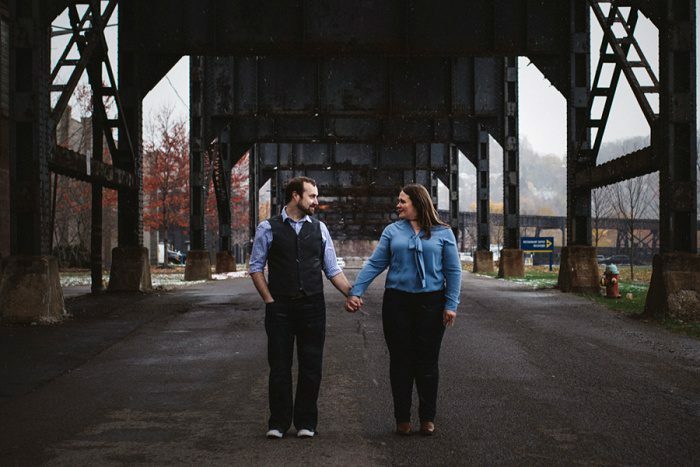 A mutual love of online gaming was what initially brought Sharon and Quinn together, and after Sharon moved to Pittsburgh to be with Quinn, the Strip is where their love blossomed. 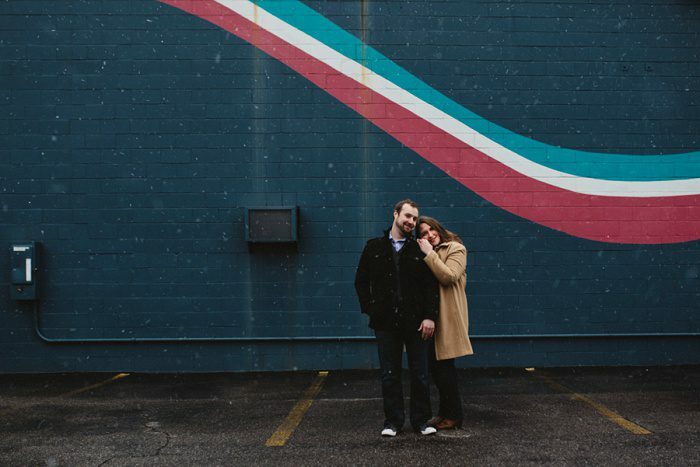 This e-shoot is the perfect combination of meaningful and memorable, not to mention festive! 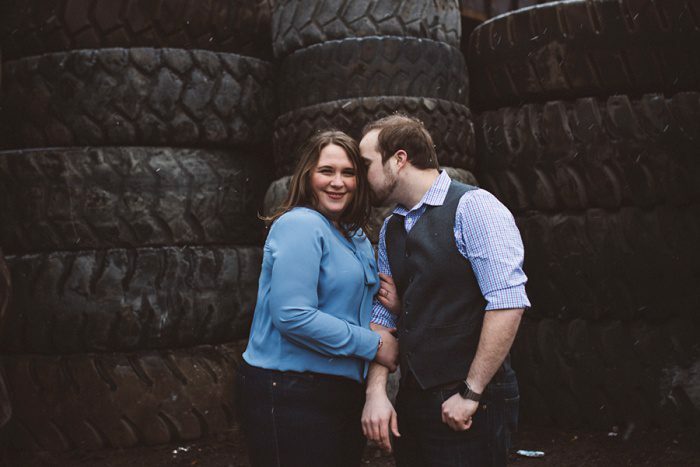 Plus, Sharon and Quinn are getting married TOMORROW!!! 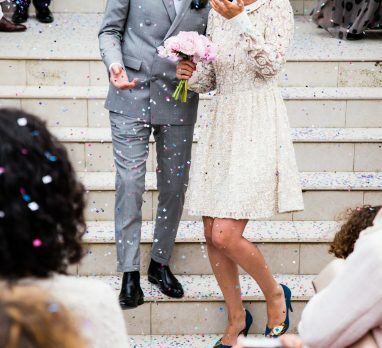 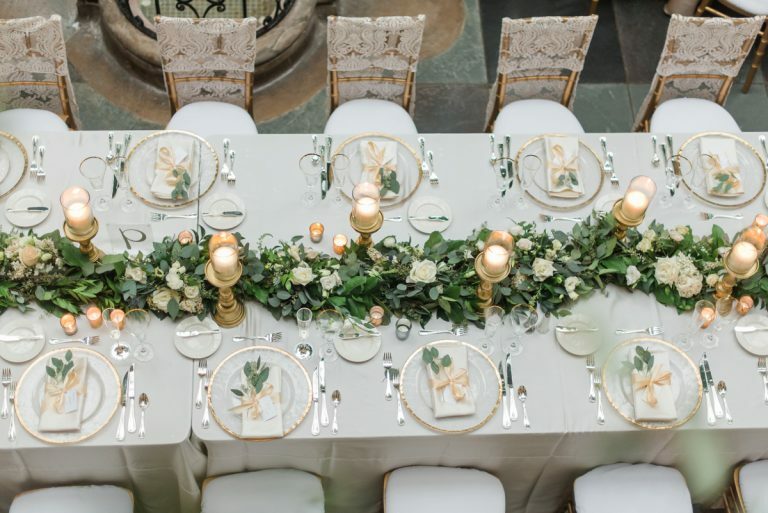 So before they both say I Do, let’s join them as they celebrate some of the things that they both love! 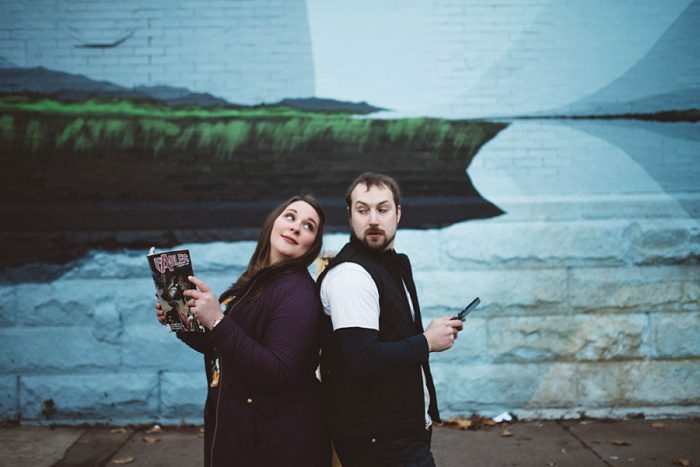 Sharon and Quinn are a pair of geeks who met playing World of Warcraft online. 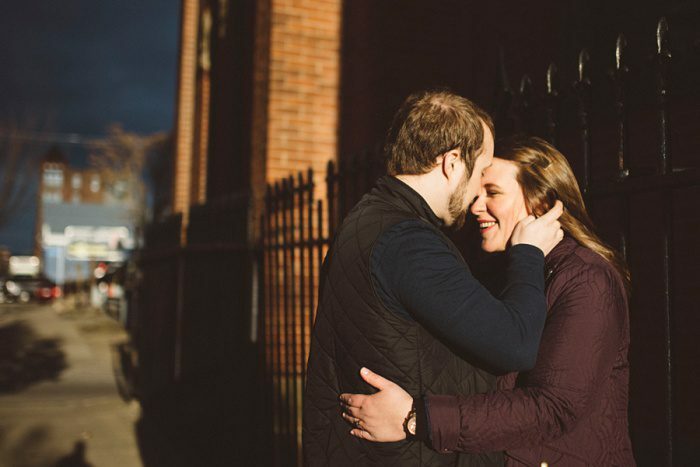 Sharon was originally from New Jersey, and after years of playing online with Quinn, she decided to come visit him and to visit a local gamer conference. 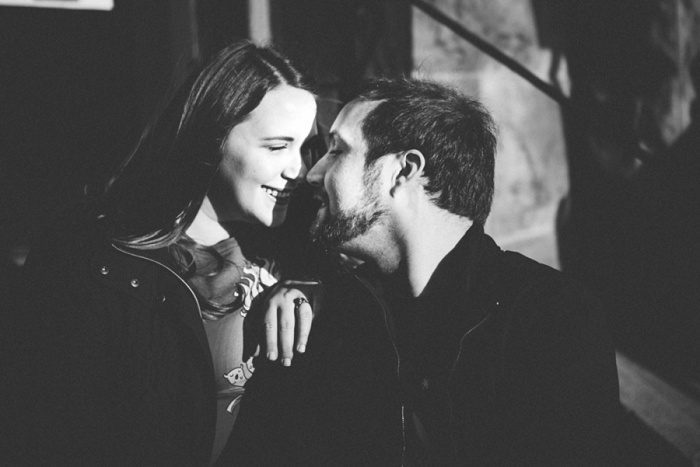 One weekend together was enough. 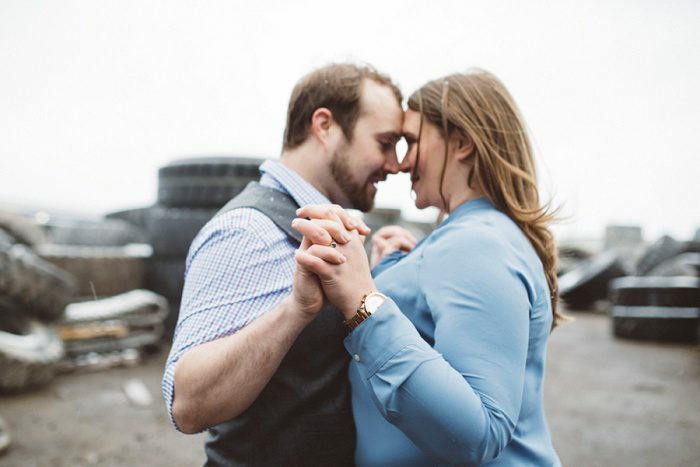 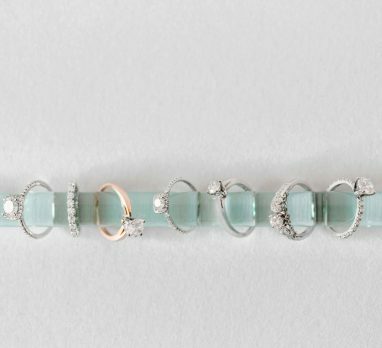 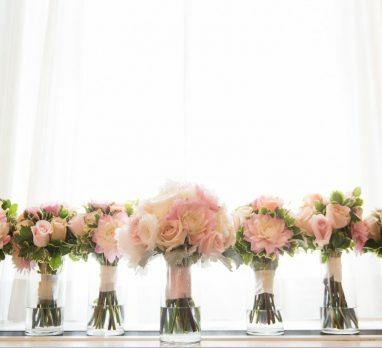 This pair quickly realized they were meant for each other. 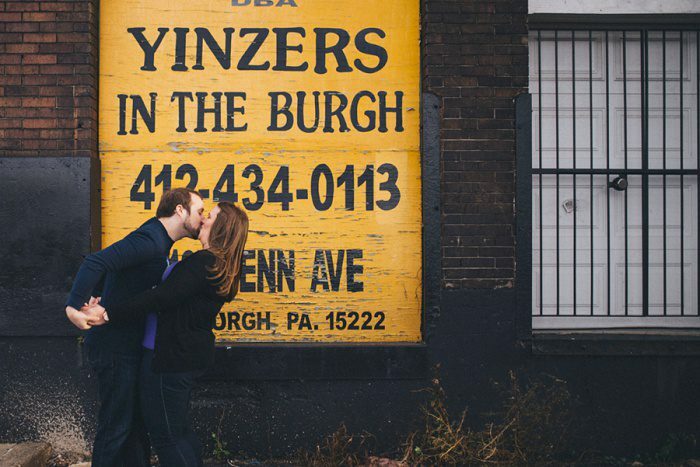 Soon enough, Sharon moved to the Burgh, and their relationship flourished among role-playing board games and visits to the Strip. 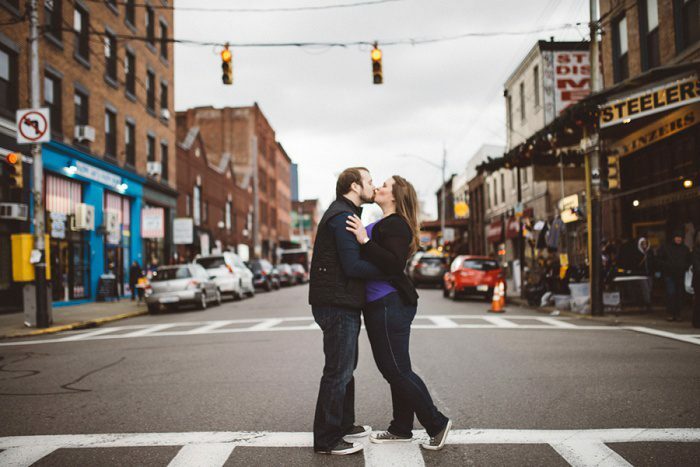 That is exactly why they decided to visit the Strip during their engagement session, as a way to show the world where their relationship thrived.